NAPCOR is an industry association (The National Association for PET Container Resources), representing the PET packaging industry in the US and Canada. A highly useful site providing general information on PET usage and recycling of PET. Their website: http://www.napcor.com/ And their latest report (released on 13th Oct 2016) is available here. Petcore Europe is and industry association (based in Brussels) that represents all the players in the PET value chain in Europe (including manufacturers, converters, packers, recyclers, etc.) The organization’s website: http://www.petcore-europe.org/about-petcore-europe-2 Though much of the information is available for members, there is some public information, among which this presentation is quite useful in giving an overview of PET recycling in Europe. The Japan Containers and Packaging Recycling Association: An industry body that puts out data, information on all packaging materials (glass, plastic-with separate section on PET, paper) in Japan. The organization’s website is: http://www.jcpra.or.jp/english/ and their statistics section is of particular use. 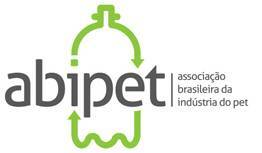 The council for Pet bottle recycling is an industry association in Japan, that represents a range of industries associated with PET used for packaging. Their website: http://www.petbottle-rec.gr.jp/english/council.html Their information on their site on recycling rates (http://www.petbottle-rec.gr.jp/english/actual.html) and voluntary design guidelines for PET bottles (http://www.petbottle-rec.gr.jp/english/design.html ) are extremely informative.